Banquet Tables Pro® LED glow 2 tier bottle display is perfect for commercial & home bars, restaurants, nightclubs, retail stores & more! The color changes with the click of a remote! 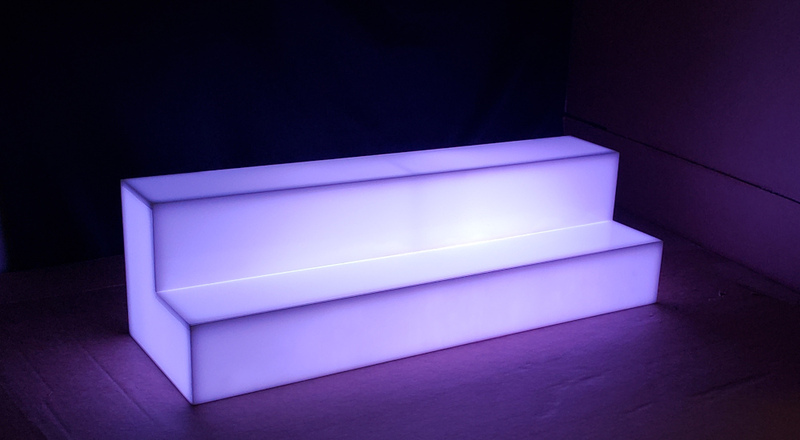 It features an all white acrylic finish when turned off & a full LED glow when turned on.